Keerti Knowledge and Skills Limited is a focused educational enterprise that firmly believes in empowering young minds with skills and enlightening them with the knowledge to be future leaders. Synonymous with INTEGRITY, INNOVATION, and EXCELLENCE, Keerti was envisioned and founded by Sudhakar Sonawane in 1998, with its headquarters in Mumbai, Maharashtra. Over the years, Keerti has evolved and grown exponentially into an initiative with a progressive outlook and a professional approach. It has consistently endeavored to create entrepreneurs and leaders, to establish the foundations of the knowledge-based economy. A vibrant and passionate team of Keerti has created a colossal pool of skilled resources with several path-breaking ideas. This remains the mainstay of Keerti's achievements. The group further aspires to scale new altitudes of success. Keerti Knowledge and Skills limited is an ISO 9001:2015 certified organization with quality training delivery, processes, pedagogies and systems that ensures a seamless and AFFORDABLE EDUCATION & TRAINING that can be benchmarked across all our Services including in its wholly owned subsidiaries i.e Keerti Institute India Pvt. Ltd. and Keerti Tutorials India Pvt. 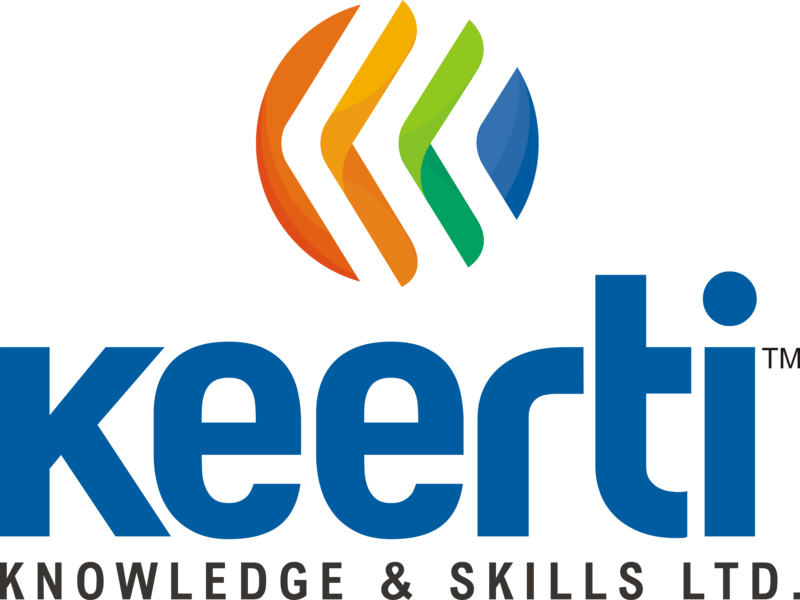 Ltd.
Keerti Tutorials India Private Limited (KTIPL) is a wholly owned subsidiary of Keerti Knowledge and Skills Limited. With KTIPL, the group has also made a successful foray into academic coaching and imparts academic tutoring to young students for School, Science, and Commerce Sections. Keerti Tutorials believes in sharing knowledge through coaching and mentoring its students and making them sensible and enlightened intellectuals and who would bring about the much-needed change of the hour. Keerti Institute India Private Limited (KIIPL) is a wholly owned subsidiary of Keerti Knowledge and Skills Limited (KKSL). KIIPL has been carrying the rich legacy in IT Education and Training through its well-known and established brand i.e. Keerti Computer Institute. Keerti Computer Institute creates IT professionals by training youth and students in multiple segments of Information Technology. Our training aims at understanding, teaching & applying features and functionality of various areas of Designing, Website Design & Development, Accounting & Taxation, Programming, Hardware & Networking etc. We make our students employable and future ready by imparting soft skills too in-depth curriculum and effective teaching skills gives the student a 360-degree knowledge and exposure in various segment of Information Technology.